Saving energy, a valuable commodity, can only be a good thing, British Energy Savings Technology Ltd (or BEST as they are known) as specialists in helping industry eliminate wasted energy from motor-driven applications and systems, saving valuable energy and possibly reduce maintenance costs as well. With Carbon reduction targets becoming more progressive, certainly with good reason, BEST designed devices have been known to help reduce energy consumption by more than 30% in some cases with the outlay for the equipment being paid back in 1-2 years as a consequence. 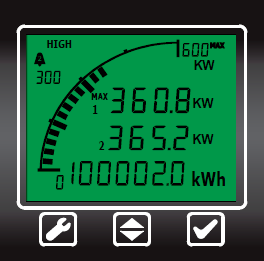 With a large worldwide network of distributors selling BEST’s services and equipment, they utilise an energy saving demonstration unit that incorporates trumeter Advanced Panel Meters to visually present just how much energy can be saved by showing the swing in amp and voltage when the BEST intelligent Motor Energy Controller is utilised. Previously BEST had relied upon Taiwanese sourced analogue meters that have been utilised by industry for many years now, but these proved both expensive and had excessive lead-times of up to 8 weeks or more. Searching for a locally based solution on the internet, BEST’s recently appointed Technical Director, Andrew Smith was intrigued by Trumeter’s impressive range of meter solutions so he contacted them for advice and a possible solution to their current supply issue. As it happened Trumeter were developing a new Advanced Panel Meter and so the Product Manager at trumeter, Neil Cooper, took the prototype to BEST to show them just what their range of Advanced Panel Meters could offer. BEST was hugely impressed with the massive range of benefits and features that this new Advanced Panel Meter design offered above and beyond the more traditional analogue panel meters, they were using. Utilising the trumeter APM allowed BEST to demonstrate the abilities of their Intelligent Motor Energy Controller equipment much more effectively. 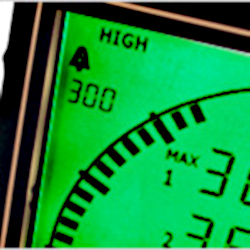 The trumeter products allowed them to visually demonstrate the physical swing through changing colours and swing along with enabling them to personalise the meters scale for a multitude of countries, for example, 50-120V for the USA and 200V for Japan. This enabled BEST to produce just one demonstration unit for their worldwide distributor network to use instead of one unit per country, whereas previously they had to construct one for each, saving them money from the get-go! If you are looking at saving money, perhaps in the acquisition of your panel meter solution or you need a more advanced and capable product for your particular installation Kempston Controls stocks an impressive range of trumeter products, all ready for instant dispatch. « Ultra-Low Emissions. Will you be Leading the Charge When it Comes to Electric Vehicle Supply Networks?